← Definitely a Good Day! I’ve worked a lot on the layout of this quilt this week. It’s driven me out of my mind at times! I think I should have read some of those tutorials I’ve come across in the past. Or maybe I should have started it when I wasn’t concerned about my husband’s upcoming surgery. Then again, that was the whole reason I started the layout this week. I needed it to help me keep my mind occupied by something other than cancer and surgery and all the things that can go wrong. 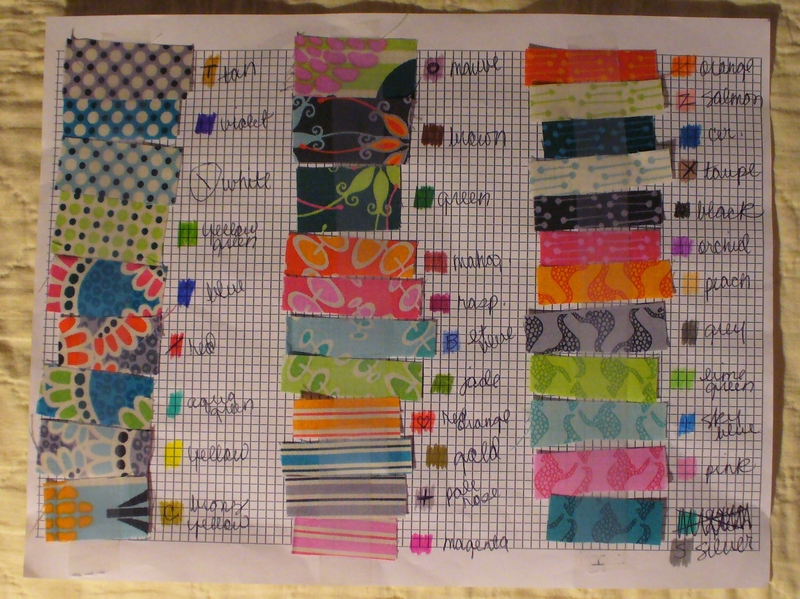 I used the 32 fat quarters (18″ x 22″) I showed you in this post for the cross quilt pieces. If you ever want to make one of these, it is possible with fat quarters, but it would be so much easier with yardage. I cut mine four and a half inches, giving me 16 squares per fat quarter. A correctly cut quarter yard of fabric (9″) would give you two rows of the same sized squares, giving you 18 squares total. A third of a yard would give the same number of 18 squares, but you’d have more wiggle room for straightening the fabric if it wasn’t cut perfectly. There were a couple of false starts plus a couple of restarts. I had to lay the quilt out a quarter section at a time on top of my queen sized bed. (I haven’t had to do anything like that since my second quilt, a king sized trip around the world, laid out on my living room floor, many years ago!) 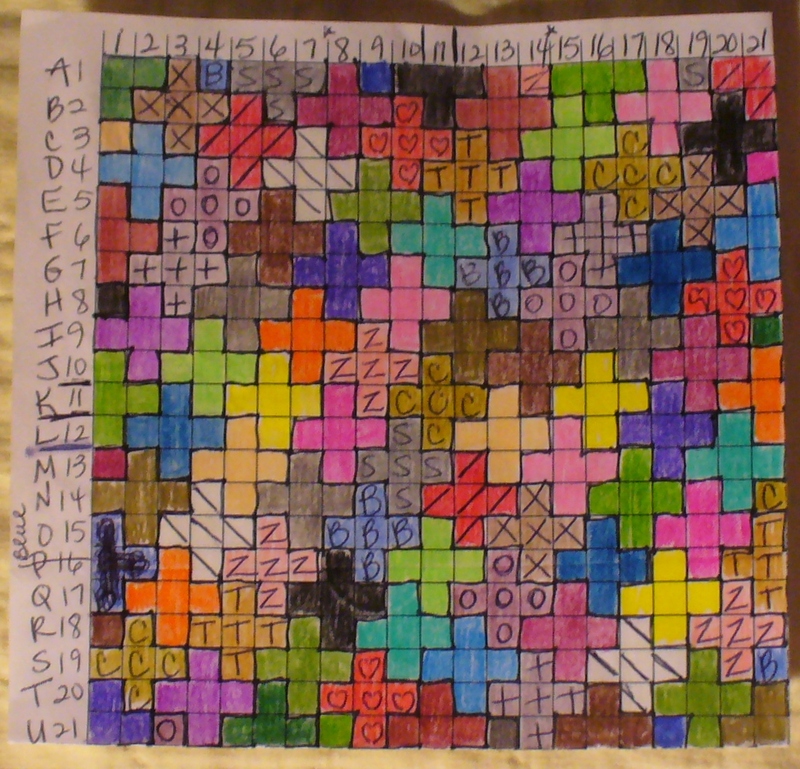 There are 21 rows of 21 squares each, so I laid out rows 1 – 11 in each direction. Then I’d use row 11 as the bridge to laying out rows 11 – 21. Starting at the top, first the left side and then the right side, then the bottom left and bottom right. I had to redo the top left at least twice and I laid it out three times because I confused myself by numbering the rows 1 -21 in each direction. Duh! 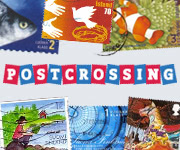 You can see in my photo of the layout that I went back and added A – U to the horizontal rows. Then I took the extra precaution of pinning a placement number/letter on every single square. It was pretty much a breeze after that. I did both sides of the bottom half of the quilt today! I plan to piece this and quilt it in three sections, using the technique I read about in Quilt as You Go Made Modern : Fresh Techniques for Busy Quilters by Jera Brandvig. It will be a first for me. I’m excited to get started, but will probably have to wait for a few days to get the surgery and hospital stay behind us. I’m going to take a small hexagon UFO with me to keep me occupied during the waiting room time. I’ll let you know how each project goes. This entry was posted in book, quilt and tagged cross quilt, in progress, quilting. Bookmark the permalink. It’s gonna be a great, bright, cheerful quilt, Sharon. Hang in there. We have you and Richard in our thoughts and prayers. Thank you, Jan. I hope it turns out well. I noticed that two of the bright orange crosses are going to be really close to each other last night when I posted the photo. 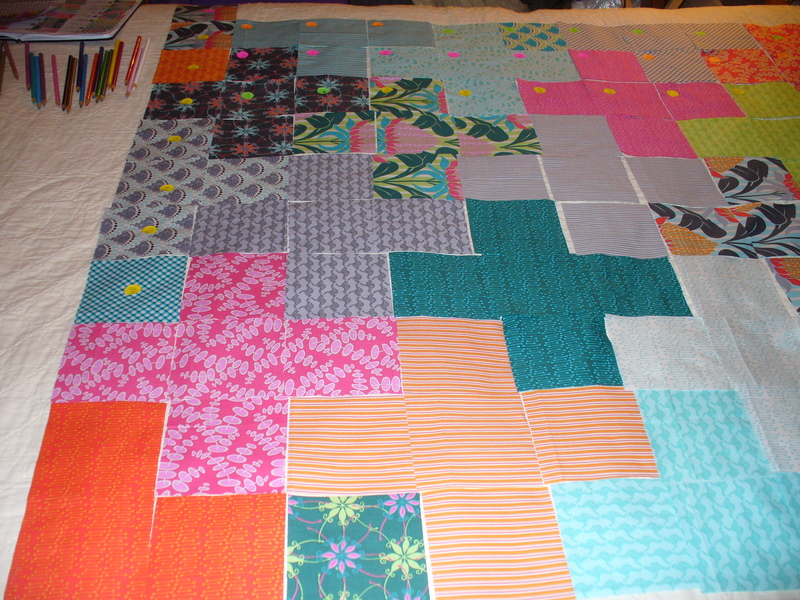 I’m thinking of re-graphing the quilt so that I can see the colors better and avoid that problem. Yes, I’m obsessing and not sleeping! I truly appreciate the prayers. I’m not handling this as well as I’d like to.